Now that school has begun once again, for my third year, I am beginning to starve. Of news that is. Being a college student, not only do I literally starve from lack of funding for food, but my stomach growls daily for news outside of campus. Some may refer to that as the “real world,” which I am terribly afraid of. Yet, that is why I am here, writing this blog . . . attempting to prepare myself for the real world. However, when phrased that way, I feel completely comfortable starving myself of food and news, before I must enter the real world. Consistently on the go, I depend on my smart phone. Thanks to my grandparents, who I persuaded to pay the ridiculous monthly fees for a smart phone, I am now able to catch up on the biggest news around the world right in my hand. Convenient? I think so. Although, smart phones are expensive, tremendous, and at readily access to the touch of a finger, reading articles on a small cellular screen certainly gives me a tremendous headache by the end of the day. Does that stop me? Not always. Usually, yes, but not always. Although the headache s can potentially stunt my academic growth, my appetite for news is in high demand, which is why I have a news application programmed on my droid, with several different feeds, including CNN, Google News, and ABC. I scan through the Laramie Boomerang, the local newspaper when I have the opportunity, a.k.a time. My small hometown newspaper is great for all the eventful happenings in Laramie, Wyoming. 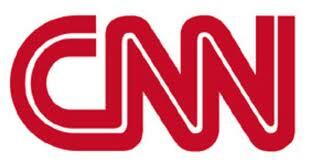 However, it doesn’t cover news happening around the world quite like CNN. Being involved in campus, I admire the Branding Iron, which is a student run newspaper distrubuted to students attending the University of Wyoming. Unfortunately, this is my mass consumption of news. Serious factual news. I love watching comedic news T.V. shows. Chelsea Lately is a riot and I literally can’t get enough of her sarcastic comments. It greatly saddens me that Chelsea Lately isn’t necessarily considered to be a factual news source. 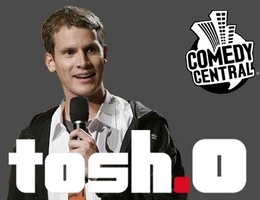 But neither is Tosh.O, who I would also have to greatly admire. I would ideally like my blog to relate to his in some fashion. Scratch that. Any fashion. I guess I would rather laugh with Chelsea Lately and Tosh.O, rather than tune into catastrophic news around the world, or even (rarely) in my own backyard. So with my handy dandy smart phone and comical ideals, I continue to obtain a small scrap of leftovers. Maybe through this course, I will be introduced to a large platter of various foods, foreign or not. Until then, bon appetit!